Wondering What to Do in Budapest in 3 Days? Read on! Many people ask “how many days do I need in Budapest?” Well, that would depend on your plans and interests! That said, three days/nights is a great timeline to explore the city’s best sights and eats. There is just so much to see and do in Budapest that having an itinerary is the key to seeing as much as you can. We love Budapest. Having first visited on a classic Europe trip, Eric has been back with Lisa a few times while travelling parts of eastern Europe. Also, Eric is half Hungarian so visiting Hungary is always a little extra special. 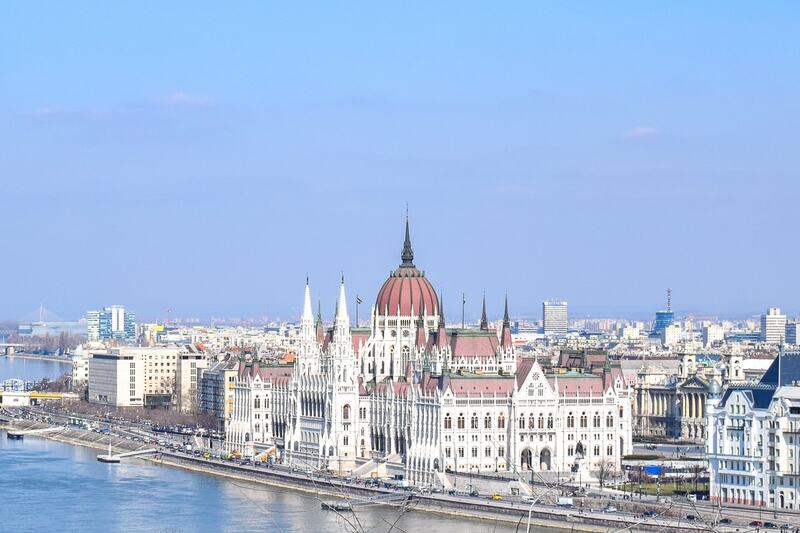 We feel like we know the city fairly well and can pass on some good Budapest travel information! So, from your first day in Budapest to your last day, we’ll help you plan out the perfect 3 day Budapest itinerary! Oh, and as for a place to stay in Budapest, it’s always a great idea to maximize your time by staying central. 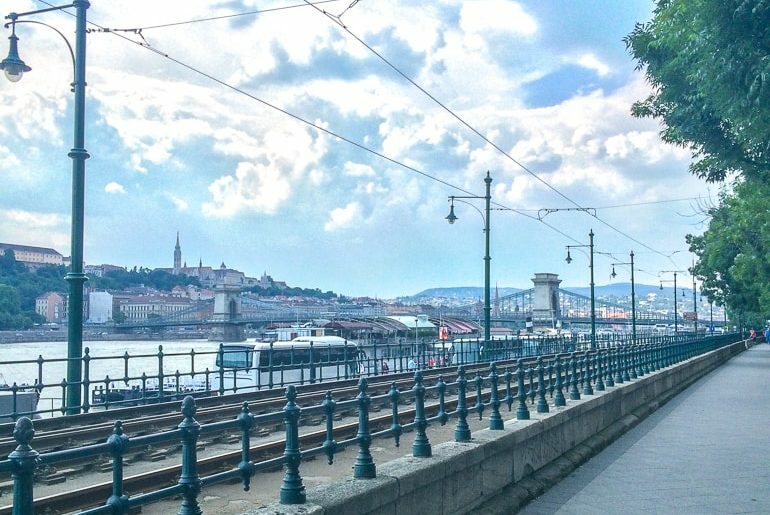 We wrote a whole guide on the best areas to stay in Budapest here. Look at Walk Inn Váci 78 for a hotel or Maverick Lodge Hostel for a central location. If you want to get a sneak peek of what we got up to in Budapest, you can watch the video snippet below. In case you want to see more, you can watch the whole video on our YouTube Channel here. Budapest is divided into two areas – Buda and Pest. They are divided by the Danube River – the same river that cuts through cities like Vienna and Bratislava. The Buda side is the hilly side with the castle. The Pest side is the flat, more walkable side with many of the restaurants, bars, attractions, train stations, etc. Walking is doable but over the course of three days it might be a lot! That said, the city has great public transit. We took the metro loads of times. If you are in town for three days, you might look into a travel card good for 72 hours. This is a transit pass only with no discount on attractions in the city. For discounts on top attractions AND a transportation card, that’s the Budapest Card – good for various trip lengths. Here’s the Budapest Card for 72 hours. Finally, since Budapest can be a touristy city, the hop-on hop-off bus is another option to bring you to the top attractions – basically it serves as your own bus for the few days you are there! 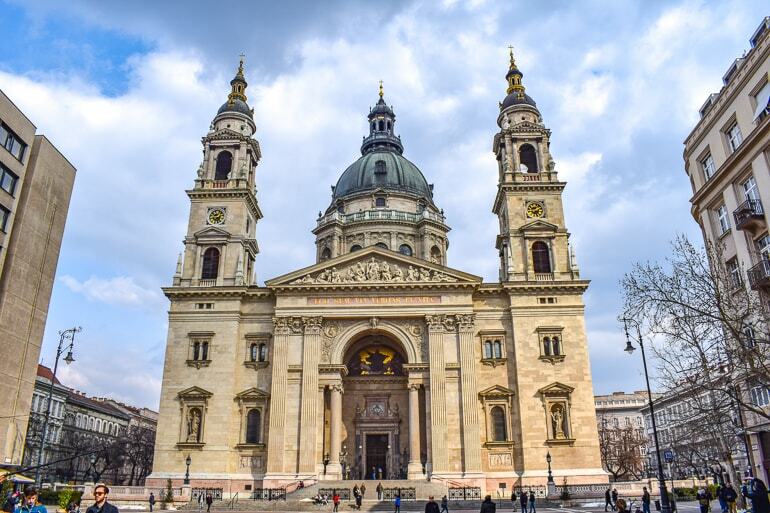 On your first day in Budapest, you will want to explore some of the top attractions to get them out of the way. The thing about Budapest is that there are many top attractions in the city so you’d never cover them all in three days! So let’s try our best. 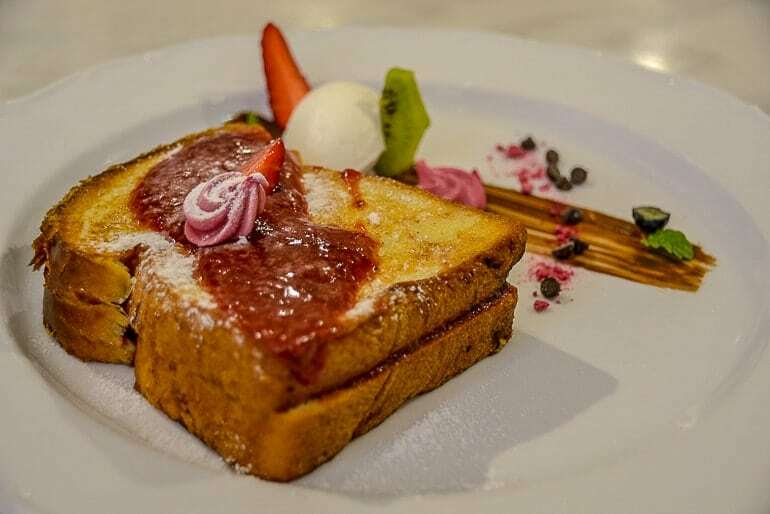 For your first breakfast, head to À la Maison Grand. We chose a place right in the centre and closer to the water so you don’t have to venture too far after breakfast. This is a also a good area to become familiar with since there’s loads to do and see. À la Maison Grand was recommended by our guest foodie blogger Jess at Pinchables.com. She writes that À la Maison Grand offered a beautifully presented yet affordable breakfast from French toast to pancakes to savoury waffles! After breakfast, you should stroll down Váci Street. It’s full of shops and places to eat. It’s a little bit touristy but still very full of life so it’s worth the walk through! You’re heading for the good stuff, anyways. You’ll walk right by/through Erzsébet Square which has the Budapest Eye in it. If you want to go for a lift, you’ve got the time. If not, just remember where it is for now. Keep walking until you get to the front of St Stephen’s Basilica. You cannot miss it. The Basilica is stunning from the outside in the square – but you can go inside. Entry is free but donations are welcome. If you want the awesome views, you can climb the stairs to go up the tower – and this will cost a bit of money but it’s worth it for the views and the experience. They also have frequent live organ performances which you can attend! So once you come down, head behind the Basilica into the busy 7th District to a place called Bors GasztroBár. This is where you should have lunch – and you will not be alone! The place should be packed with people looking for creative sandwich/panini combinations. The Chain Bridge and Buda Castle – all in the same frame! After lunch, you’ll head across the river to explore the Buda side of the city. Head to the water from lunch and cross the famous Chain Bridge. 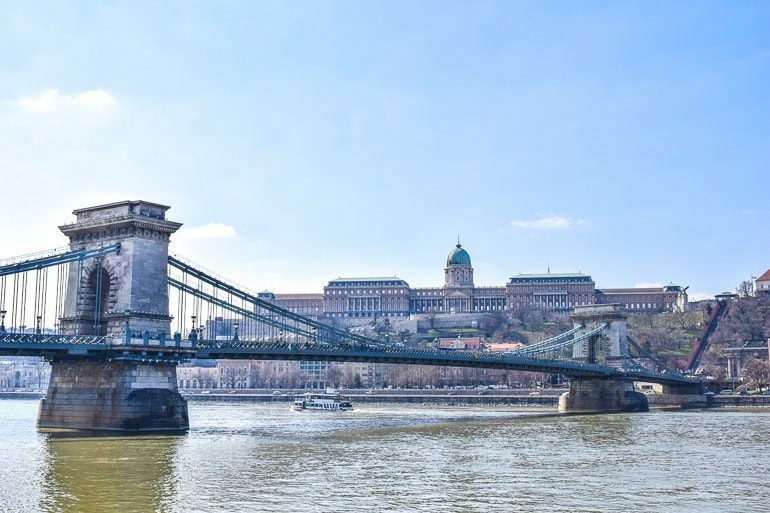 Officially known as the Széchenyi Chain Bridge, this historic landmark has seen its fair share of history. In fact, it was blown up by the Germans as they retreated in World War Two. You can then make a choice: take the Funicular ride up the hill to the Buda Castle Complex or just walk up the paths. Once you’re up there, the Buda Castle complex is begging to be explored. The grounds are free to roam but other galleries, museum, etc. are paid entry. Another main attraction once you are up there is the Fisherman’s Bastion. This beautifully decorated part of the Castle complex was built in 1895 and is visited today by many who venture to Budapest. You can spend as much time up on the hill as you like in the afternoon – you can even visit the Rudas Baths if you wanted a relaxing break without coming down. In the late afternoon you will head back to the Pest side. For your “break time”, come down from Buda, cross the Chain Bridge again, and head to the right towards Vörösmarty tér (or Vörösmarty Square). It’s also the name of the metro station. On this square is Café Gerbeaud – an upscale historic restaurant with a massive outdoor patio area. We went there for a coffee and their desserts – and they did not disappoint. 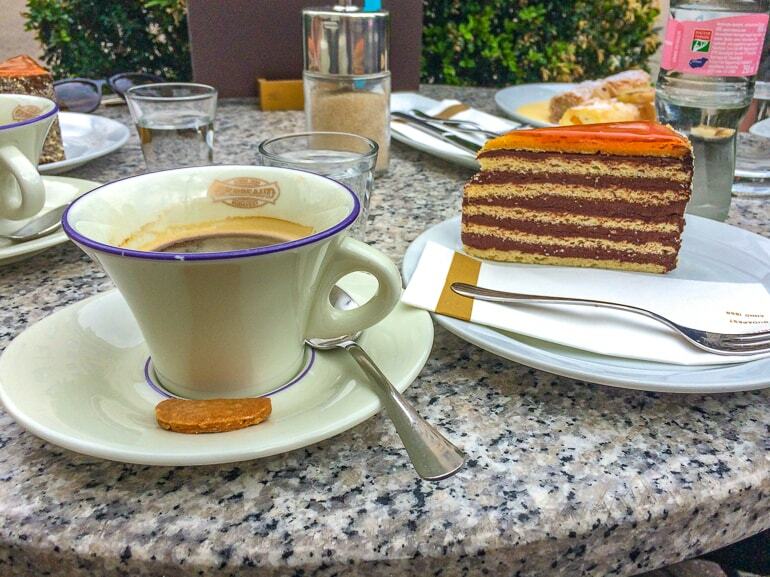 You have to try the Hungarian Dobos Torte – a layered cake which Eric grew up eating on special occasions. This cake is basically why we went to Gerbeaud! It’s a bit pricey but worth the relaxing atmosphere and the sweet experience. The goulash (with loads of bread) was really good! For dinner, head to a place just south of the Oktagon – both an intersection and a Metro stop. Here, you’ll find Kiadó Kocsma – a bar/lively dinner place with a cool upper seating area. 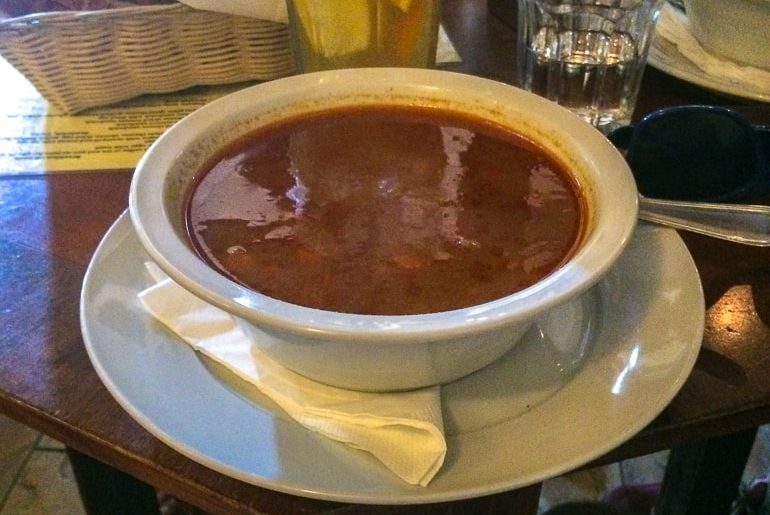 We’ve been there twice now for dinner and even a goulash lunch – both were excellent. You can even stay for a drink or two – there’s no rush and the night is young! 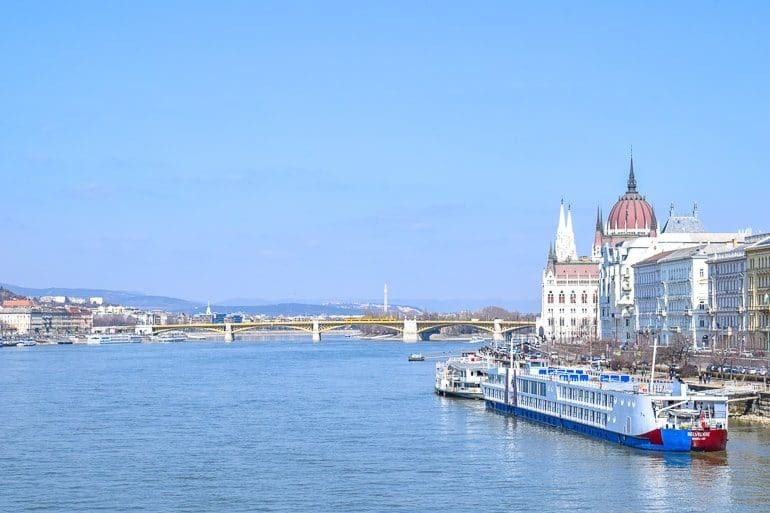 Boats leave all along the bank of the Danube – be sure to check your ticket! Now that you are full of goulash, burgers, and/or drinks, it’s time to head out for your evening activity. You’ve had a full day so consider this option the “lazy” way to see the city from a beautiful perspective! You’ll go to the water on a Danube River Cruise. Eric did one of these cruises years ago and it was honestly awesome to see the city by night. The monuments along the Danube are all lit up and it’s just a great way to see the city and to end off your first day. You can book a boat cruise – comes with a free drink! On Day 2 in Budapest, you will get the chance to explore the Pest side of the river. No hill climbing required today! 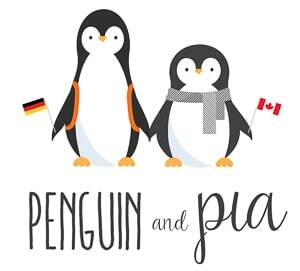 For this day, it might be wise to pack a bag with your bathing suit because this is for sure a thermal bath day – which we will mention down below. There are loads of attractions, a TON of history to dive into, and great places to eat and drink at – so let’s get going! 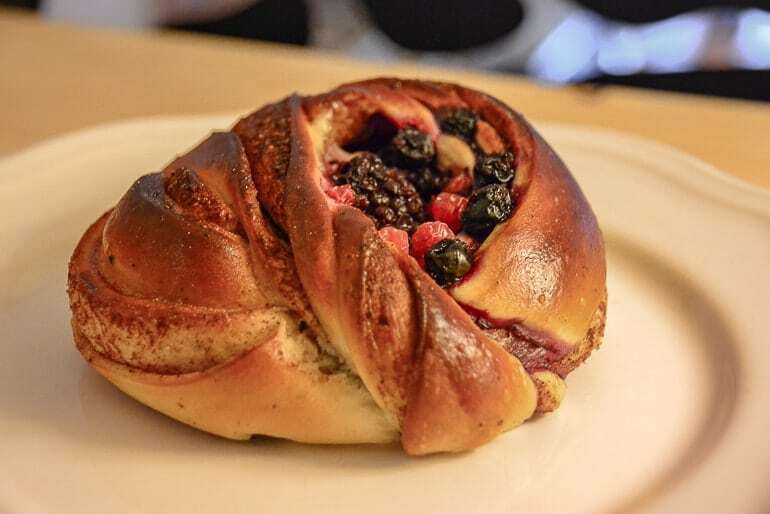 From where you are staying, head to Cirkusz for breakfast. This place was also suggested by our guest foodie Jess. 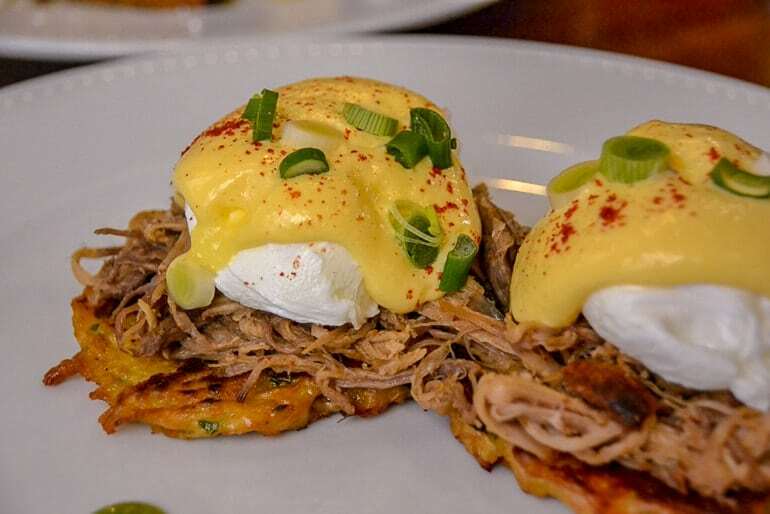 The menu is full of amazing combinations – and the pulled pork eggs Benedict are definitely something to go for when you are there. It’s located in the 7th District so not too far from the other places you will be wandering about today. Once you are done breakfast, you can head to the Dohány Street Synagogue nearby. As the largest synagogue in all of Europe, this beautiful designed building is something to be marveled at. You can actually do a tour if you want to learn more about the buildings rich history and its place in the Jewish district of Budapest. There is also a Holocaust memorial should it interest you. After a visit, head in the other direction towards the House of Terror Museum – a museum dedicated to learning about the reign of Communism and Fascism in Hungary and Europe. It’s a pretty heavy topic but – given the location in a historic building used by the regimes – the exhibitions do a great job of making history interesting. Our coffees at Little Melbourne were great! On the way there, you can stop at My Little Melbourne Cafe if you want a coffee as you walk. They also have a small outdoor patio area if the weather is nice. We really like Little Melbourne so we thought we’d mention it once on this itinerary! Just like Eric’s Mama used to make! 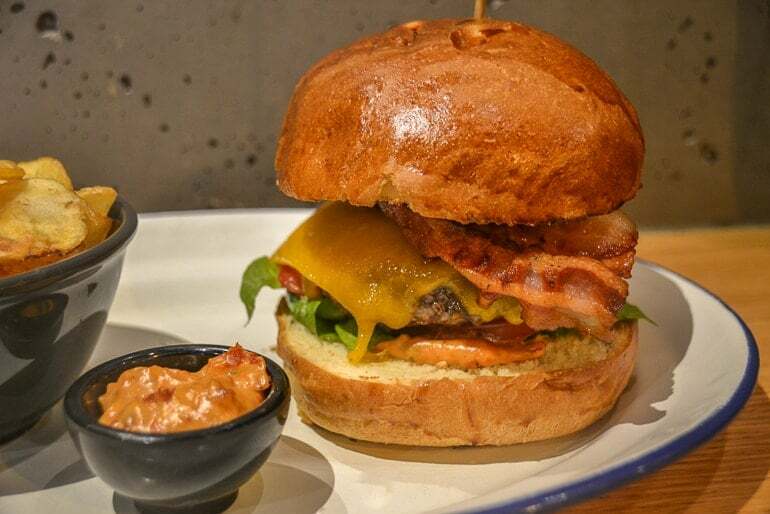 For lunch, you’ll grab something hearty but traditional. 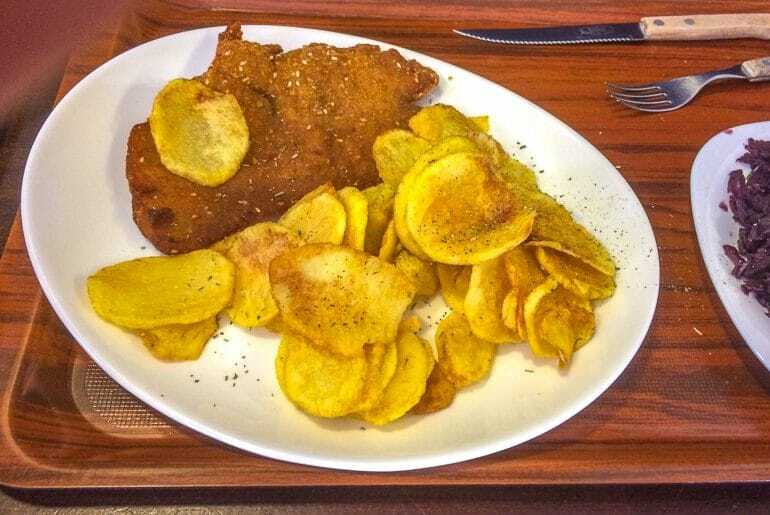 We’d recommend Belvárosi Disznótoros. You might have noticed a restaurant logo of a pig wearing a chef’s hat? Well, this is the place! There are two locations (as far as we can tell) and have been to both. We ordered up a plate of freshly made comfort food from schnitzel and rice with red cabbage to pasta, meat, and loads of sides and salads. We’ve been there for “standing room only” lunch time when locals came to eat. It was packed both times at each location. You can order in English – the staff are fast but friendly. After lunch, you should head north along Andrássy Avenue towards the large green space in the city. This is City Park (Városliget) and you can simply walk around and enjoy the various attractions to be found there. One of the main ones is Heroes Square. It’s right at the top of Andrássy Avenue and commemorates various prominent figures in Hungarian history. There’s even a castle – Vajdahunyad Castle – if you wanted some nice photos. The reason we brought you to the park was for the thermal baths. It’s no secret that the most famous one in the city – and the largest in Europe – is here! Time to go for a dip at the Széchenyi thermal baths. Built in 1913, this massive complex has something for everyone looking to relax – in all seasons! You can find a line skip ticket here. If you want a coffee or a quick nibble, you can loop over towards Keleti Train Station. 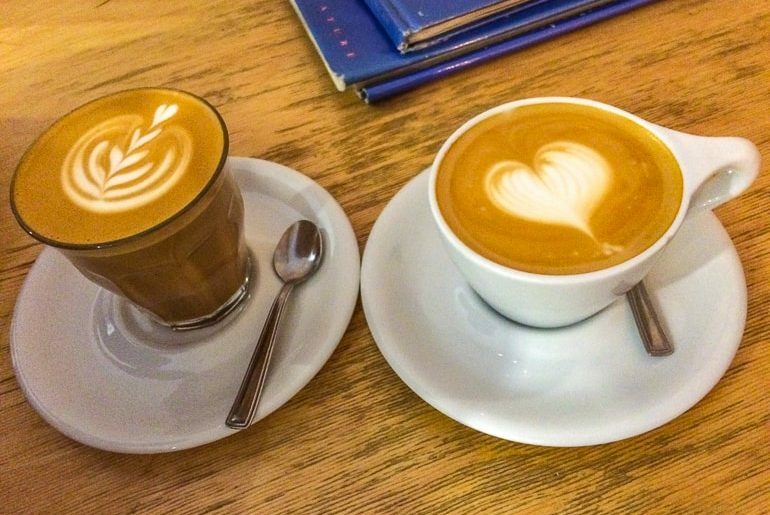 In the neighbourhood on the way, you’ll find a small coffee shop called The Goat Herder. You might miss it – and this would be understandable since it’s so tiny. For dinner, don’t stray too far because you’ll head up to the edge of the park again. 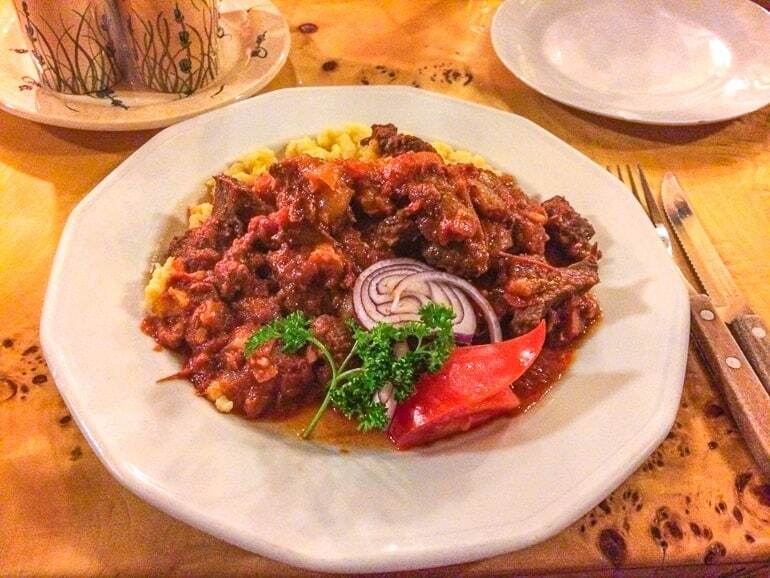 Here you’ll find Paprika Vendéglő for a truly authentic Hungarian dinner. We went there on the first night we were in Budapest on one trip and we absolutely loved every moment and every bite. Eric had chicken paprikas while Lisa had the goulash. We had drinks, we had dessert, and the pace was packed. Just go – and make a reservation if you know you want to go there for dinner! After dinner, you’ll stroll back down Andrássy Avenue and cut into the 7th District where you will find all of the famous “ruin” bars. These bars are located in buildings that are – quite honestly – falling apart or are located with plenty of outdoor garden seating. One of the most famous is, of course, Szimpla. Once you wait in the massive line, inside you’ll find a complex with multiple bar areas and more. While it’s cool to see – you can easily to to another one bar like Mika Kert. There are more in the area so wander about and find a place for drinks out in Budapest! Here is the address for Szimpla to get you started with where to aim for. On Day 3, you’ll want to get your walking shoes on again since you’ll be doing a bit of hiking/walking. This day has you exploring basically “the rest” of what you haven’t seen already. This includes a few things on the Buda side and a few things on the Pest side. To start off the day, head to Butter Brothers. 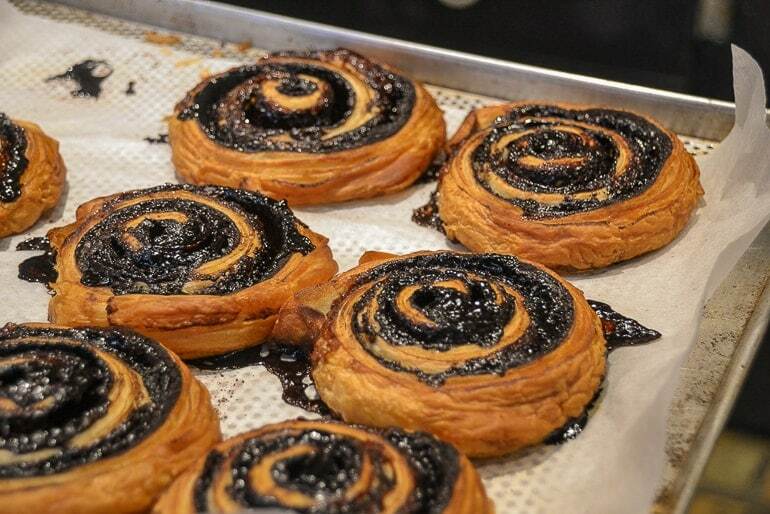 Located pretty central in the inner city, this is a great bakery and bake shop where you can get a good coffee and a variety of sweet or savoury baked items. You will need the food in you to get through the morning activity! The Liberty Statue watching over the hill and the Danube. After breakfast, you will cross the Danube once more. This time, cross at the Elizabeth Bridge or the Liberty Bridge which is close to Butter Brothers. 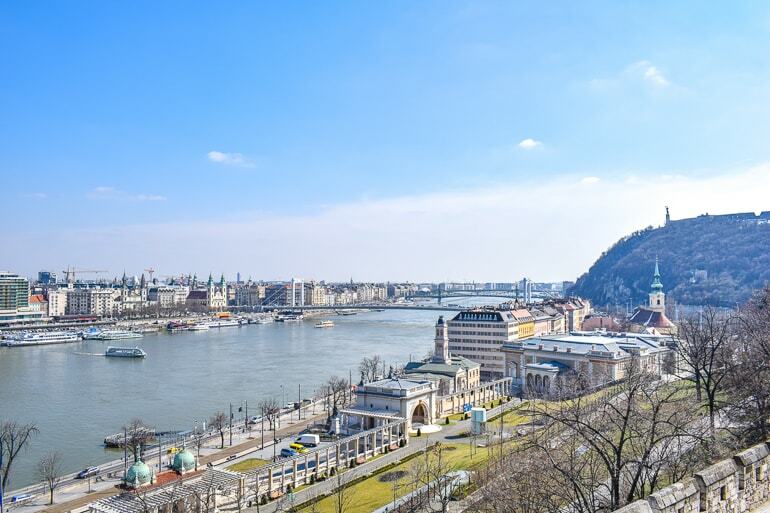 From there, follow the signs and walking paths and you can hike up to the top of Gellért Hill to check out everything up there: the views over the city, the Citadel, and the Liberty Statue. Spend as much time as you like up there! For lunch, come down off the hill and back over the bridge (this time, choose the Liberty Bridge) and head to the Central Market Hall (right across the bridge near the river) for lunch. This open air market hall is full of places to buy groceries but also loads of places to enjoy an authentic Hungarian lunch. You can also find souvenirs here if you want some! The memorial is very moving – definitely worth seeing. After you fill up on lunch, walk the length of the Danube back towards the city centre/Chain Bridge. For this, just enjoy the stroll along the Danube. 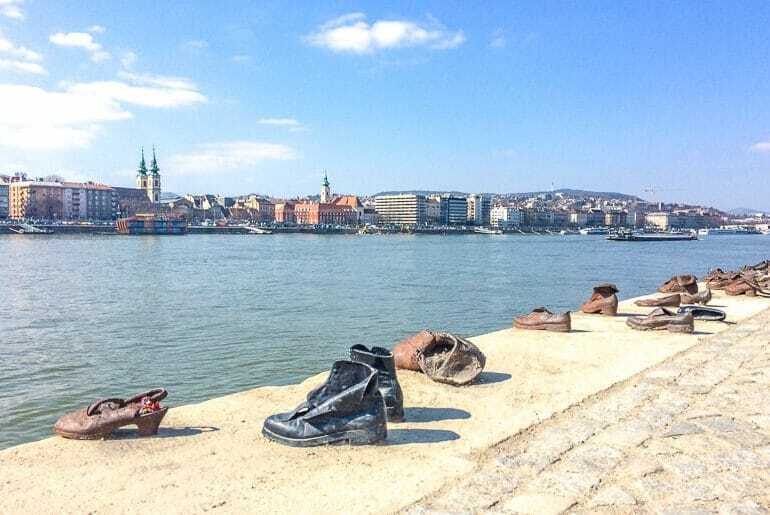 After the Chain Bridge (but before the Hungarian Parliament) you will pass the “Shoes on the Danube Bank” art memorial. These iron shoes were sculpted to remember the Jews shot into the river in the 1940s by the ruling Fascists. After you pay your respects, head for the Hungarian Parliament building. You can marvel at the beauty outside but you can also take a tour of the inside if you like! There is a lot of history in the building including its role in shaping the country you are visiting today! 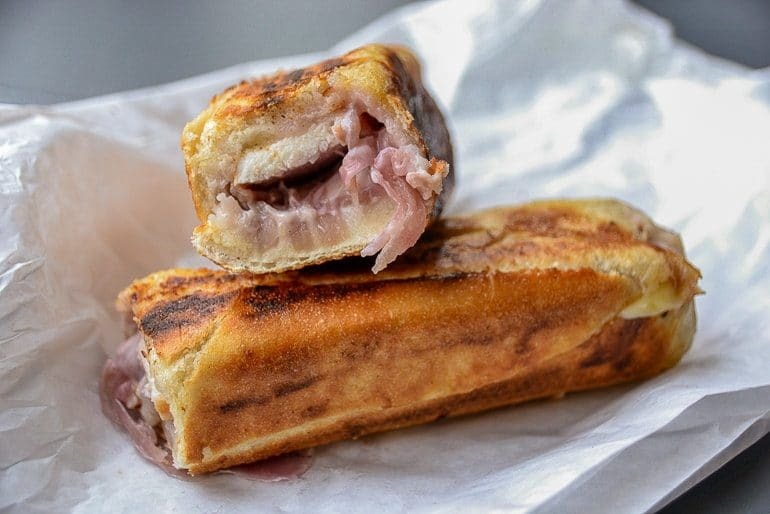 Now that you’ve done the Parliament building, you can go grab a snack to tie you over until dinner. For this, we suggest heading to Artizan which is nearby. This bake shop is highly rated for their baked good and coffee – and the seating outside is nice in the warm weather. You can also take it to go and walk to Liberty Square (Szabadság tér) which is the beautiful green park nearby with monuments and other things to see. Now that it’s dinner – and you must be hungry because that’s a fair bit of walking/hiking – you have two choices for a final meal: Meatology or Dorumba. Meatology is right behind St. Stephen’s Basilica across the street and serves up – you guessed it – meat of all sorts! Dorumba is a completely different vibe with lighter and vegetarian options that are Mediterranean-inspired! They aren’t all that far from one another so the choice is more based on your reference and not the distance. Either place is highly rated and Jess (our foodie blogger) recommends them both! Just walk the river bank if you please. It’s always lovely! It’s your final evening – and the night is up to you. You can do what you like or try something new. You can go back to the ruin bars or head someplace else for drinks. You might choose to see a show or performance at the Erkel Theatre (taking over for the Hungarian State Opera until 2020), or just walk the Danube again for the fresh air and the lights. You can even visit the baths for a night relaxation experience – the Gellért Baths are good for that given how pretty they are. It’s your night and it’s up to you! 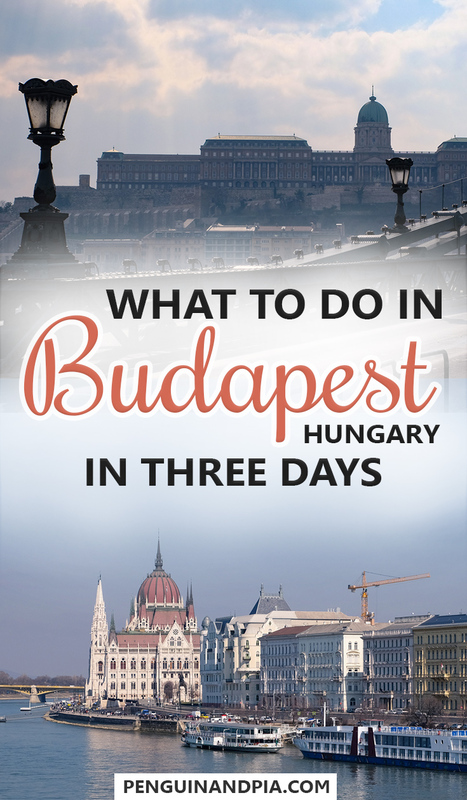 And there you have it – a sample itinerary for what to do in Budapest in 3 days! Obviously we didn’t include everything there is to do – because there is just so much to see and do. That said, we think that following this itinerary would cover the city pretty well. Use this as a guide to base your visit off of and make it your own! We’ll add to it as we discover more of Budapest!